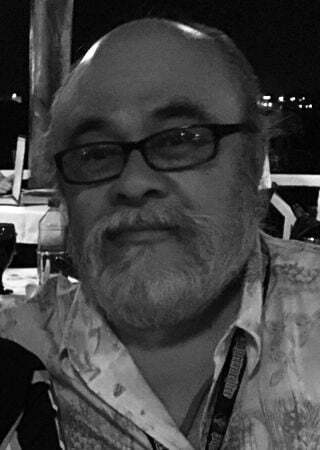 HAMMOND, IN - Robert Perez, Jr. of Hammond, passed away Wednesday, April 10, 2019 at the Valparaiso Care and Rehabilitation Center. He was born on October 14, 1954 in East Chicago, IN to Roberto and Ofelia (Gonzalez) Perez, Sr. On August 31, 1974 he married the love of his life, Alma (Plaza) and she survives. He is also survived by, Rosanna (Scott) Arnold, Roberto Perez, III, and Christopher (Patricia) Perez; grandsons, Alexander, Gabriel, Roberto IV, Christopher Jr. and Angel J.R.; granddaughter, Leilani (his princess); mother, Ofelia Perez; brothers and sisters, Rosemary Perez-Antonacopulos, Sonia (Brian Barrios) Lopez, Martha (Jerry) Ortiz, and Ricardo (Mary) Perez; loving nephews, Francisco Plaza, Jr., Fabrizio Plaza, and Vincent Lopez; loving nieces, Violet Elizabeth Plaza and Crystal Antonacopulos; best friend, Roberto (Norce) Liendo, many other brothers-in-law, sisters-in-law, nieces, nephews, other relatives and friends. Preceded in death by his father, Roberto Perez, Sr., and two grandchildren, Grammy, Aurora Navarro and loving sister-in-law, Mary Violet Plaza. Robert loved his family deeply. Family came first to him. He called everyone Mija and Mijo. He worked at Inland Steel for 22 years until retiring. His heart was bigger than life. He always said that laughter would make everything better.